There are a lot of commercial health drinks out there in the market nowadays. They claim that they provide cure for illnesses, even citing studies of their drastic impact on cancer. But amidst these countless choices, we may e forgetting about nature’s most important “cocktail” – water. Some health professionals say that most of the people nowadays are dehydrated and they are not aware of it. People are more interested in drinking coffee, tea and sodas which also contains caffeine. About 83 percent of our blood is made of water. Muscles are made of 75 percent water, while bone is 22 percent composed of water. Actually, an average person who weighs around 150 lbs., contains 40 to 50 quarts of water. That makes 2/3 of our body weight are from water. Not drinking enough water is also the number one reason of fatigue. There are also studies that showed that drinking the recommended 8 glasses of water a day relieves most patients from back and joint pain. It even has effects on our memory and ability to concentrate. If you lack water intake, you can have short-term memory, trouble with your basic math and focusing on what you have in front of you, either a computer screen or a page you are handling. Aside from regular tap water, you can see a lot mineral water and even alkaline water in the stands. Compared to ordinary tap water, alkaline water has higher pH level. Alkaline water is said to have help in neutralizing acids and remove toxins from the body. Alkaline water drinkers and proponents believed that most of what we eat and drink produces acid waste. Aside from this, they also say that alkaline water gives electrochemical activity to the cell. To keep the body hydrated, you do not have to drink from your water bottle every time. Food is also source of your 20 percent total water intake. The remaining 80 percent comes from other beverages. Fruits and vegetables also contain a lot of water. Oranges would have 87 percent of composed of water. Even if there are people promoting alkaline water, there are still other health care professionals who thinks that we should just stick to regular, plain water. Whether it is alkaline water or normal water, we could not deny that it is one of the wonders of Mother Nature. 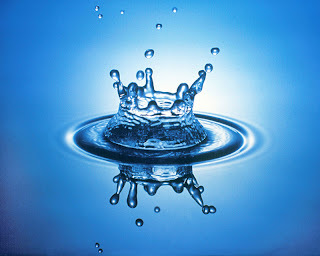 Over centuries, water has been the natural health drink for us.